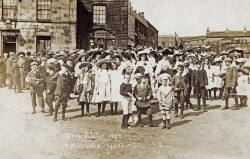 From the late 1300s and early 1400s when surnames were evolving in the Pennines in and around Saddleworth there are records for families living in Saddleworth. The Parish Registers for St Chad’s recording births marriages and deaths begin in 1613. 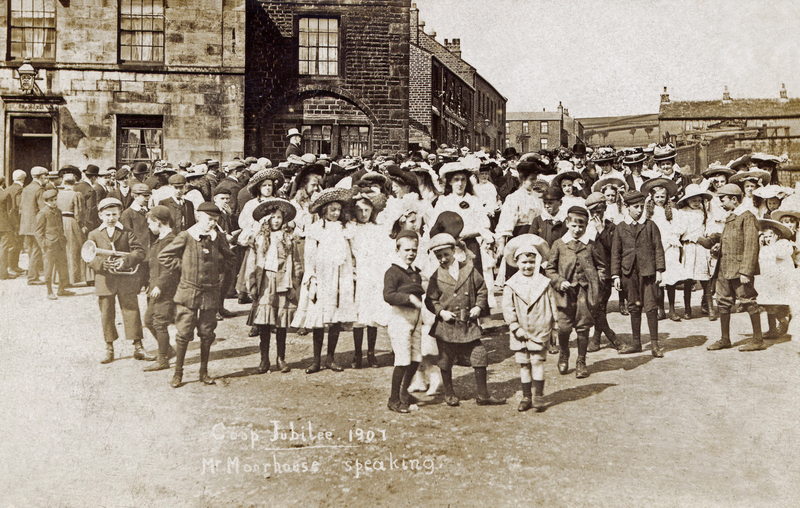 By the time of the Protestation Return in 1642 there are over twenty-five surnames established in Saddleworth, most of them still well represented today. From this period documents such as wills, deeds, rent rolls and tax returns are available for Saddleworth. The typically scattered settlement in the Pennines gave rise to surnames such as Gartside and Broadbent, derived from hamlets or landscape features. Unlike other areas occupational and son-of surnames did not appear. Anyone with these surnames is likely to have an ancestry in Saddleworth or the adjoining parishes of Aston-under-Lyne, Oldham, Rochdale and Almondbury. In the eighteenth century the booming woollen industry attracted immigration. Towards the end of the century trade and the opportunities from expertise in textiles took the first emigrants to the Americas. In the next century “dearth and distress” was a major push but emigrants were also engineers, missionaries and soldiers. The building of the Standedge tunnels and the reservoirs at Denshaw, Castleshaw and Greenfield bought navvy families into Saddleworth. Saddleworth Surnames DNA Project is building a data base of DNA profiles of men with the oldest Saddleworth names.